Master Harmonica Player, Mike Rogers, along with his wife Beverly, will teach a beginning harmonica workshop for adults. All materials will be provided, including a new Harmonica, which you can keep! By the end of the workshop you will have learned to play a song or two and have the basic skills to learn more songs on your own. Hohner Harmonicas will be provided to all participants or you can bring their own 10 C harmonica if you have one. You will recieve an illustrated booklet from Hohner so you can go home and continue working with your instrument. 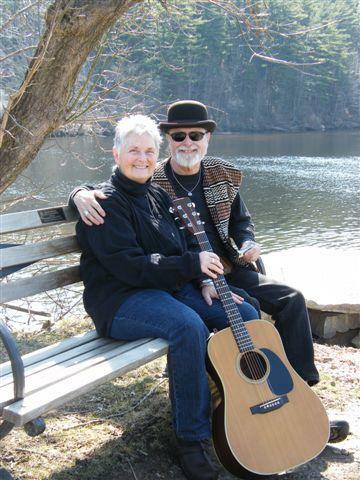 Mike and Beverly have been performing together for over 25 years and are two thirds of the Mike Rogers Trio and one half of Salt River. He also tours New England playing with Blues Man 'Poor Howard' Stith. Mike has recorded on over forty albums and has opened for Emmylou Harris, Rush, The Eagles, James Montgomeryand others. Registration is required and is limited to 30 people.